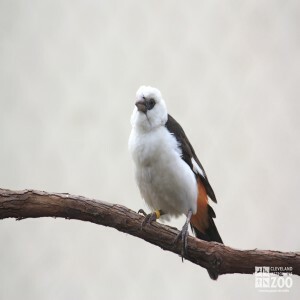 The range of the White Headed Buffalo weaver includes Somalia, Ethiopia, and Sudan south to Lake Tanganyika, into Uganda, Kenya and Tanzania. White Headed Buffalo Weavers inhabit Acacia woodlands, dry brush and thorn-bush scrub. White Headed Buffalo Weavers are found in pairs or small flocks, sometimes mingled with some Starling species. This is a shy bird, which feeds on the ground near acacia trees. They generally do not migrate.